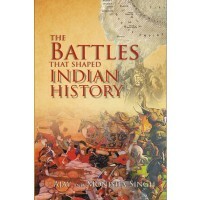 The Battles that shaped Indian history is a concise, factual account of the battles that have decided India's destiny. It covers a spectrum spanning almost two and a half millennia- from Alexandra's battle with King Poros on the banks of the Jhelum River in 326 BC to India's decisive victory over Pakistan in 1971. 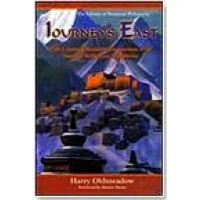 Twelve of India's major battles have been covered, each embellished with detailed maps and photographs. The characteristics of the main protagonists, the tactics and weaponry utilized by both sides and also the turning moment of the battles have been enumerated to make the battles come alive and help the reader understand them better. The book provides an interesting and incisive account of India's military history and provides an illuminating overview of its battles. It highlights the tactical concepts, weaponry and thinking of Indian armies down the ages and also brings out the inherent flaws and weaknesses which were so often exploited by foreign invaders. The lessons of these battles can be applied in today's conflicts and hold relevance even in the battlegrounds of the future. 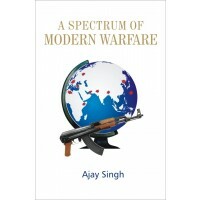 ``A Spectrum of Modern Warfare`` traces the evolution of warfare over the past two centuries. It covers the momentous changes in warfare, both conventional and unconventional, and evaluates how unconventional warfare-which is the pre-dominant form today has impacted war-fighting concepts across the globe. 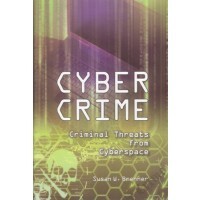 The book takes us into the emerging arenas of war, including space and cyberspace. It evaluates the impact of technology and shows how dwindling resources and the scourge of global warming can precipitate conflict in the future. The major wars that have been fought in the 21st Century have been examined. It also peeks into the future and provides realistic scenarios of future conflict in the flashpoints of Korea, the Middle East, India-Pakistan, India-China and the major impending conflict of this century; the clash between USA and China. Its range of scope and vision reveals a deep insight and helps provide a fascinating perspective on the nature of modern conflict. Oil is the most vital resource of our time. Because it is so important, misperceptions about the black gold abound. 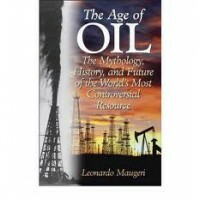 Leonardo Maugeri clears the cobwebs by describing the colorful history of oil, and explaining the fundamentals of oil production. He delivers a unique, fascinating, and controversial perspective on the industry-as only an insider could. The history of the oil market has been marked, since its inception, by a succession of booms and busts, each one leading to a similar psychological climax and flawed political decisions. In a single generation, we've experienced the energy crisis of 1973; the dramatic oil countershock of 1986; the oil collapse of 1998-99 that gave rise to the idea of oil as just another commodity; and the sharp price increases following hurricane Katrina's devastation in the Gulf of Mexico. Today, we are experiencing a global oil boom that, paradoxically, seems to herald a gloomy era of scarcity exacerbated by growing consumption and the threat from Islamic terrorism in the oil-rich Middle East. Maugeri argues that the pessimists are wrong. In the second part of his book, he debunks the main myths surrounding oil in our times, addressing whether we are indeed running out of oil, and the real impact of Islamic radicalism on oil-rich regions. By translating many of the technical concepts of oil productions into terms the average reader can easily grasp, Maugeri answers our questions. Ultimately, he concludes that the wolf is not at the door. We are facing neither a problem of oil scarcity, nor an upcoming oil blackmail by forces hostile to the West. Only bad political decisions driven by a distorted view of current problems (and who is to blame for them) can doom us to a gloomy oil future. 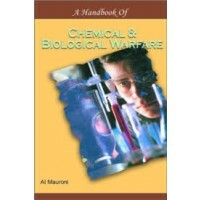 This book will provide some of the tools for students to research the area of chemical and biological warfare and given that opportunity, to make their own judgments of the facts and opinions of many different agencies. The first introductory work of its kind to survey the fundamentals, policies, and strategies of chemical and biological warfare from 1915 to the present. 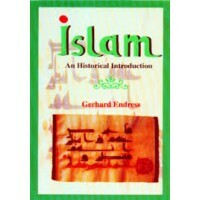 This highly acclaimed survey provides a thoughtful and concise account of all aspects of Islam in history. Following an appraisal of the study of Islam. Gerhard Enders guides the reader through key elements. Religion (including the Revelation of the prophet Muhammad and the development of doctrine in its historical setting), Law and the state in medieval Islam, The principal trends and major periods of Islamic history , The development of Arabic, Persian and Turkish languages, Names and titles, The Muslim calendar. “Islam is the meeting between God as such and man as such… Islam confronts what is immutable in God with what is permanent in man.” These are the opening words of what has become a classic on Islam. Perhaps the most misunderstood of the great Revelation. 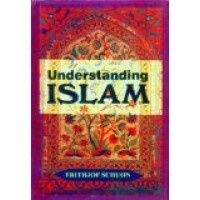 And yet the purpose of this book “is not so much to give a description of Islam as to explain…..why Moslems believes in it.” Both Westerners unfamiliar with Islam and Moslems seeking a deeper understanding of the basis of faith will be struck by schuon’s masterful elucidation of the spiritual world of Islam. This Book covers the parallel development of nuclear weapons and associated non proliferation efforts from the beginning of research into atomic fission, through the building of nuclear weapons in the United States and eventually eight other countries (one of which has now dismantled its arsenal). It also reviews current debates surrounding nuclear terrorism, the Comprehensive Nuclear-Test Ban Treaty, and efforts to achieve the total elimination of nuclear weapons while describing the rationale presented by supporters for the continued presence of more than 10000 deployed strategic warheads. 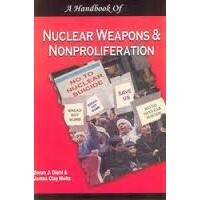 In addition, the books serves as a comprehensive reference on a host of issues related to international non proliferation treaties and regimes, as well as citizen-based efforts to prevent the proliferation of nuclear weapons. In the Post-9/11 scenario international system, Asia is supposed to recapture the focal attention of the international system. 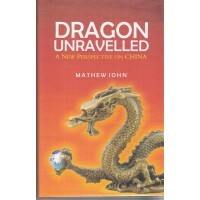 But due to inherent rivalry among Asian powers it seems to be an utopian idea. China and India's bilateral relationship is the key to emergence of Asia as the new power house of the global system. Due to baggage of history both India and China are not doing well in the arena of strategic cooperation despite their excellent economic cooperation. They are all set to in cash benefits in case of cooperation and devastation in case of conflict. There are convergences of interests between both countries in establishing the supremacy of Asia in new world order. In case of cooperation they could implement the real notion of third world cooperation and ensure justice based international system. The present volume intended to deal with those delicate issues in a comprehensive manner. 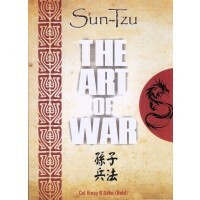 Sun Tzu’s Art of War is a widely acclaimed book on military strategy that has influenced and shaped the idea of Western and Eastern nations military philosophy. It presents complete instructions on how to win battles and manage conflicts. The theories proposed in Art of War are extremely beneficial on the battle ground and has been tried and tested by many successful military generals around the world. It is difficult to ascertain exactly when was this book written and many historians have ascribed it to different times. The Art of War has established its significance not just as a valuable book for military strategies but it also gives lesson in diplomacy and public administration and planning. It stresses on the need for healthy and friendly relations with other nations. In the context of changing world politics and rising interest in foreign policy affairs, The Art of War is a valuable read to understand about what idea goes behind shaping the strategies and policy with our neighbouring nations. This book is an ideal read if you are looking out for some inspiration to win over daily battles in your life. This book will be of special interest to people who want to read philosophy, the amazing quotes about life, winning battles and how to tide over daily struggles then it’s a must read for you. In the spring of 2003, a stunned world watched the armed forces of the United States and Britain conduct a military campaign against Iraq. As a result, the Iraqi regime was dismantled, and much of the conventional wisdom about modern war was irrevocably altered. Yet as U.S. and British forces occupy Basra, Tikrit, and Mosul, the Iraqi nation has slipped into anarchy?and the phrase shock and awe has begun to sound more appropriate as a description of the wars aftermath, rather than its opening. Such has been the twisted trail of the Iraq Wars dramatic events. But like so many other conflicts, the war ultimately seems to pose more questions than it solved. 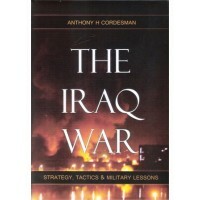 This book is the first in-depth analysis of the second war against Saddam Husseins regime. What are the repercussions of the pre-war political fights in Washington, Paris, and the UN? Was meeting initial military goals really due to Anglo-American arms, or had Saddams regime simply been too degraded to fight? Why did not Baghdad become a second Stalingrad? Why were not the occupying forces prepared to impose order? And then there is the significant question: Where are Iraqs weapons of mass destruction? Respected military analyst Anthony Cordesman incisively examines the key issues swirling around the most significant U.S. war since Vietnam. Beginning the search for answers is essential to understanding Americas awesome power and its place in a new age of international terror. The killing of Osama bin Laden spotlighted Pakistan's unpredictable political dynamics, which are often driven by conspiracy theory, paranoia, and a sense of betrayal. In Pakistan, the late prime minister Benazir Bhutto famously declared, there is "always the story behind the story." In The Pakistan Cauldron, James P. Farwell explains what makes Pakistani politics tick. Farwell has advised the Department of Defense on terrorism, sovereignty, and the political issues in the Middle East, Africa, and Pakistan. Here he reveals how key Pakistani political players have inconsistently employed the principles of strategic communication to advance their agendas and undercut their enemies. Pakistan is an enigma to many. Only by understanding the complex forces that shape Pakistani leaders can we uncover their shifting political agendas and how they affect America and the West. Farwell explains how and why former president Pervez Musharraf clamped down on nuclear scientist A. Q. Kahn and isolated him. 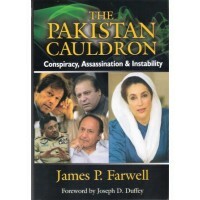 He assesses Benazir Bhutto's unique legacy and analyzes how Musharraf handled the aftermath of her assassination. He explains Pakistan's current instability and demonstrates how the country's emotional reaction to bin Laden's death is best understood as the outcome of long-standing political dynamics. The Pakistan Cauldron is for anyone who needs to know why Pakistan continues to pose increasingly difficult challenges for the United States and the West. 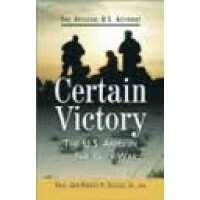 Certain Victory is a unique, clearest report of the US army’s performance during Gulf War. 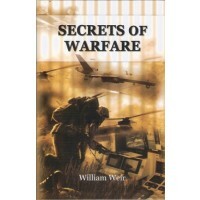 It was researched and written under the author’s instruction by a group of eight officers drawn from many different combat Gulf War. This begins by chronicling the Army’s remarkable regeneration in the two decades after Vietnam – the changes that were the foundation of the Desert Storm victory. Each chapter leads off with a compelling personal combat story that brings you right into battle alongside individual soldiers and puts the conflict into human perspective. 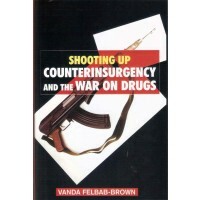 The focus of Certain Victory is the operation and tactical levels of war. The political and diplomatic decision making that resulted in the Army’s deployment decision to the South West Asia is mentioned incidentally and only to the degree that it sets the stage for the conflict. Certain Victory’s treatment of other services and other nation’s contribution to the defeat of Saddam Hussein intentionally focuses on those services and countries that most directly and immediately impacted on the Army’s mission. Unfortunately, time and space did not permit us to include all units and key personalities. 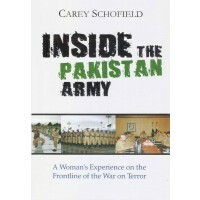 Inside the Pakistan Army: A Woman's Experience on the Frontline of the War on Terror - this is an inside account of the Pakistan Army, by Carey Schofield, a journalist, who stayed and traveled with the Pakistan Army for over 5 years. She has also written the book, Inside the Soviet Army. 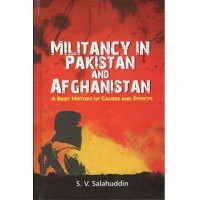 This book is a fairly charitable account of the Pakistan Army. It does not go into the various accusations that the Pakistan Army has faced from many American quarters - as an organisation accused, at best, of being an unwilling ally of America in its war against terror, and at worst, being labeled as an organisation which actively helps the Taliban, while maintaining a public face against it. What goes for the book is its vividness and the insider's perspective of the Pakistan Army. It traces the Pakistan Army from its inception and its evolution through the twists and turns of its history or wars with India and its War against Terror. Praise for his performance was precisely what George Smith Patton, Jr. had sought all his life. As a cadet at the Virginia Military Institute and West Point, he was already searching for what he called 'the undefinable difference' that distinguished a great general from the good ones. He led a mechanized attack in Mexico and a tank battalion during World War I. In World War II he turned American fortunes around in North Africa, chased the Germans out of Sicily, and sparked the breakout and liberation of France. When the Germans attacked the American First Army in the Battle of the Bulge, Patton turned his army north and smashed the German salient. He then drove into the heart of Germany and reached Czechoslovakia by war's end. 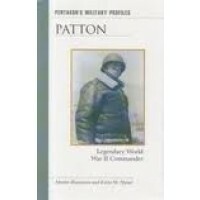 Brilliant yet flawed, Patton's leadership style drove himself and his men to acts of bravery and victory. Half uncouth, provincial cowboy and half cultured sophisticate, the man behind the warrior mask was a complex and paradoxical person. 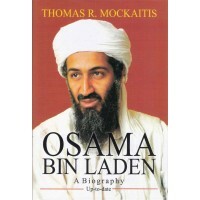 He became an icon of the American military leader and the uncompromising individual. You’ve already heard about the first Civil war between the ironclad warships, the Monitor and the Merrimac, and about why Custer’s last stand was, well, his last, but have you heard about the incredibly fast and maneuverable airship Dr. Solomon Andrews, which was offered to the government during the Civil War? “Secrets of Warfare” exposes many of the myths that have kept the public misinformed about warfare, the most dangerous of all human activities. Some myths are the result of deliberate misrepresentation; others, the result of ignorance or bigotry. In any case, there is no substitute for the truth. This comprehensive volume traces the Chinese military and its experience over the past 2,500 years, describing clashes with other kingdoms and nations as well as internal rebellions and revolutions. China has played an increasingly important role on the international stage in recent years. It is now well on its way to becoming a world superpower and a millitary juggernaut. Understanding the Chinese perspective on war, military strategy, and national security is now of critical importance and examining China's extensive military history can provide great insight into what the future may bring. As the first book of its kind, China at War: An Encyclopedia expands far beyond the conventional military history book that is focused on describing key wars, battles, military leaders, and influential events. Xiaobing Li, an expert writer in the subjects of Asian history and military affairs-provides not only a broad ,chronological account of China's long military history, but also addresses Chinese values, concepts and attitudes regarding war. 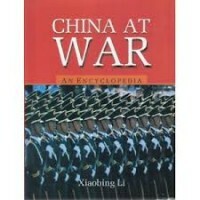 This encyclopedia contains an introductory essay written to place the reference entries within a larger contextual framework, allowing students to compare Chinese with Western American views and approaches to war. China had attracted global attention in the recent past by becoming one of the decisive actors in Asia and beyond. It is the largest country in Asia and bordering the largest number of Asian countries, with the largest population, permanent membership in the United Nations Security Council and a recognised nuclear weapon state. Its geographical position in Asia provides it with unique privileges. It borders fourteen of the other 42 countries in Asia and others by land and with several other countries in maritime dimensions. 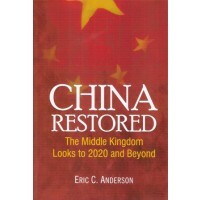 China`s emergence as a third largest economy in the world after the United States and Japan in 2008 is providing opportunities as well as challenges. Hence, its political/border interactions with these nearly half of the Asian states are crucial in explaining inter-state dynamics in the region. 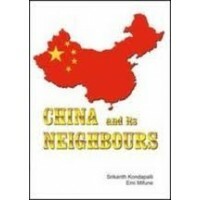 China`s formulation of policies, their execution and implementation would be crucial for a number of states in Asia. The neighbouring countries` responses to these policies would also be crucial for China as well in evaluating the successes or failures of its adjustment with the neighbourhood. 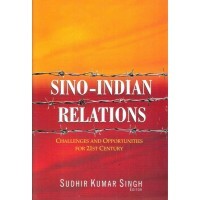 This book provides valuable insights on these issues, not only from India`s point of view, but also from the point of view of Japan. The research and analysis has been assembled by renowned scholars from both countries and is of value to the academics, specialists, policy analysts, think tanks and all interested in studying the geo-strategic significance of China today. 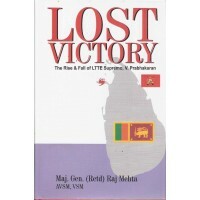 Any one who has studied the over 30-year-old Sri Lankan conflict with detachment will perhaps agree that not other phrase can define the Prabhakaran conundrum better than ‘Lost Victory’. He had almost succeeded in his goal of getting a Tamil Eelam with most of his conditions agreed to by the Sri Lankan Government, with the tacit approval of the International community. 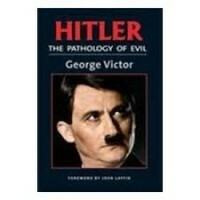 In this chilling psychohistory, distinguished psychotherapist George Victor examines Hitler's profoundly disturbed psyche. He explains how Hitler forced an entire nation to advance his dark, personal agenda and how his disastrous wartime decisions satisfied his psychological needs. Dr. Victor draws surprising new conclusions about a man who came as close as any to being the embodiment of evil. This title offers authentic insights by a renowned Pakistani Journalist...into the Islamic nation's plunge towards Talibanisation. 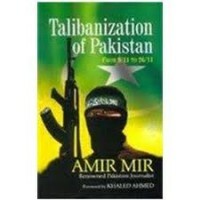 'Amir Mir has earned fame for his investigative reporting and for facing odds during the Musharraf dictatorship. His latest book is a dramatic, authoritative account of the menace convulsing Pakistan and sending shock waves throughout the world. His extraordinary first-hand and second-hand reportage takes the reader into mountains and plains, to shanty towns and capitals to know the guerrilla fighters, militant religious leaders, and terrorists. No one has covered the terrorist attacks, including the one which killed a former prime minister, Benazir Bhutto, as Mir does, detailing the origin and larger political and ethnic context in which they took place. 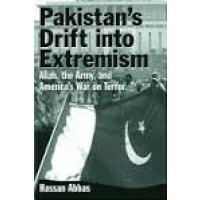 The book should be required reading for the architects of Pakistan's often disastrous foreign and domestic policies. The author's rich combination of experience, sources, research and interviews has produced a significant body of knowledge about a deeply misunderstood subject. What makes his book worth reading is the way he treats his subject without sensationalizing or patronizing it. 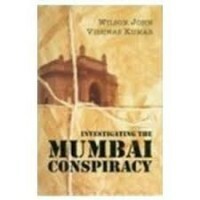 Mir manages, against all odds, to get a fix on a phenomenon that is complex, elusive and kaleidoscopic. Most impressive, however, is his ability to assess the situation with a clear eye, objective attitude and enormous intelligence' - "The News" - Pakistani English Daily. "Talibanization of Pakistan: From 9/11 to 26/11" is a comprehensive and authoritative handbook on the rise and growth of Islamic militant groups in Pakistan which are a threat to not only neighbouring countries but also the very society that sustains them. The book portrays a dangerous and tragic picture of Pakistan, founded by a secular and moderate leader Mohammad Ali Jinnah, but a nation now on the verge of Talibanization. Missing from many contemporary analyses of the causes of terrorism is any mention of the role of U.S. foreign policy, an examination of which is seen by some critics as inherently unpatriotic. Even less attention is paid to the role of the Israeli-Palestinian conflict. Gerteiny, who has lived in the Middle East and has studied the region for more than four decades, does not shy away from such controversies. 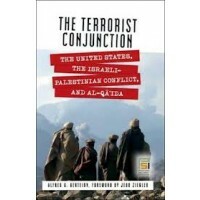 In this book, he discusses the seminal causes of contemporary transnational terrorism, particularly the grievances inherent in the persistent Israeli-Palestinian conflict. Gerteiny examines state and anti-state forms of terrorism, and he carefully distinguishes between terrorism carried out in pursuit of national liberation by the Palestinians and the theologically driven jihadism that feeds on it. He considers anti-Western Islamism as being reactive to a U.S. Middle East policy inordinately influenced by the Zionist lobby. He reflects on Muslim and Islamist world views and assesses the U.S. reaction to terrorism after 9/11, including the wars in Afghanistan and Iraq. Israel's unchecked expansionism at the expense of Palestine and its suffocating grip over its population, carried out under the cover of U.S. protection, constitute ethnic cleansing in Gerteiny's view. This, and the ill-conceived U.S. strategy in the Gulf region, in Afghanistan and Iraq, and the lack of communications with Syria and Iran are perceived by most Muslims as harbingers of an ongoing new crusade. They constitute the main pernicious elements upon which the wider-reaching vengeful Islamist theopolitical jihadism thrives, ultimately threatening the spread of democracy, the survival of Israel in the Middle East, and peaceful coexistence with the Muslim world.